WE ACCOMMODATE ANY SIZE RV! Enjoy walks on nearby ocean beaches. Easy access to 101. Large meeting room, arcade for kids, free Wifi. Close to Humboldt State, Eureka & the Redwoods. 3 of us stayed one night in our 25" travel trailer, with 2 puppies. The very friendly resident manager, Tim, gave us a pull-thru. The overnight rate was $40 + 12% tax. With our Good Sam discount the entire total was $40.32. Not bad. The park is very clean and quiet. All spaces were nice and large, with grass and picnic tables, and a lot of pull-thrus. We WILL be back the next time we buzz through. Location was easy to find off of the 101 freeway. Campsites are separated by grass strips. Many mature trees, but not all spaces had a tree. Each space did seem to have a picnic table. Restrooms were in need of remodel/repair: mold, missing tiles, etc. My main concern with this park is security. There is access to the park in several locations so people walking by can easily come in. One of the other campers nearby had a bicycle stolen from their campsite during the night. Someone came in, cut the steel cable and took the bike. I did not see any security cameras around the campground. Nice park.. friendly and helpful staff.... quiet and not too tightly packed. A large percentage of longer term renters, but not at all junky. Wifi was below average, but still functional for email and such. Easy to access and easy access to gas stations about 1/2 mile away. Arrived in the evening after the office had closed. Didn't use the restrooms, so I didn't rate them. When checking out the next morning, I stopped by the office and noticed they had most essentials. No complaints. I didn't attempt to try the WiFi or cable, so I can't comment on that either. I would stay again if/when passing through. This was our second stay at this park, we liked the pool and spa which influenced our return. A car full of local children parked between the pool and the RV sites and occupied the pool until about one hour before closing. There are a number of "Yum Yum" trees that deposit a juicy fruit that sticks to your shoes and tracks into your unit. The grounds crew did clean the area upon request, but we spent most of our two days cleaning our shoes and indoor carpet. 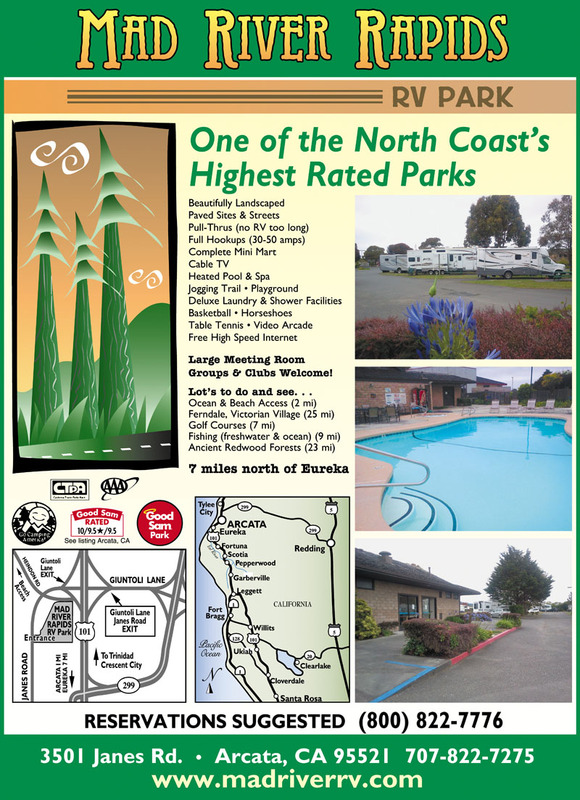 This is a great RV park, and deserves a 5 star rating, except for the WI-FI. It is not easy to access. You have to have a coupon code to get in, and have them email you a password to get into later! Most of our group didn't even bother with it! Some didn't have e-mail! This should be simplified! Seems to be a ploy for Tengo internet to get e-mail addresses! The facility has good separation with grass yards good for doggy. The roads and site pads are paved and in good condition. All 50 amp service for big rigs are taken up by full timers. We were fine but if in summer A/C would be difficult. Laundry and restrooms are really old but clean. Mostly quiet with some road noise. Pool/spa area looked clean we did not use it. Lost one star due to lousy Internet. Cable TV is excellent. 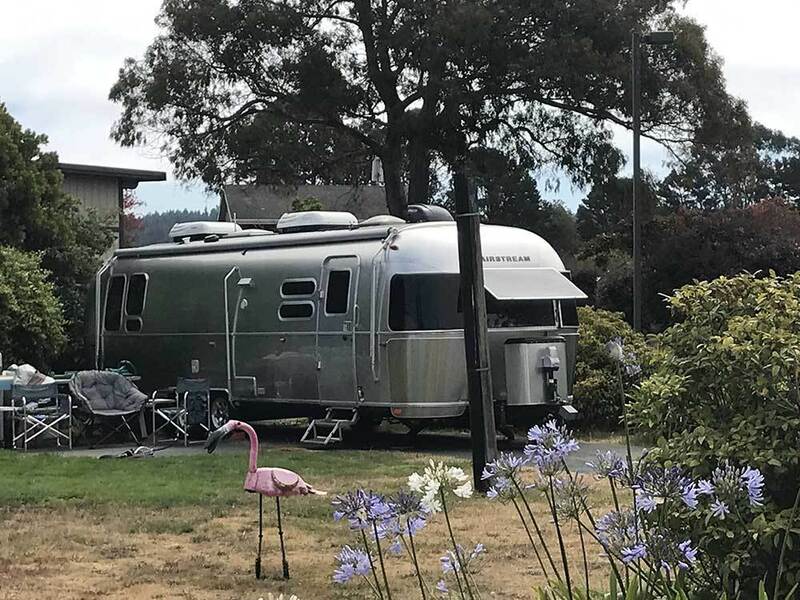 Stayed here for 5 days to visit with grandkids nearby. Helpful staff, clean facilities. Only issue was the internet was needing upgraded since it kept freezing up. We will be back soon. A must-stop for us on US 101. Arcata lovely town, friends nearby. Sites are fairly well spaced. There are a number of longer term stays but park is almost always quiet. Well maintained lawns until this year (4th year of drought), but they should come back when it rains. Did I mention the excellent Mexican restaurant adjacent to the park (closed Sundays).